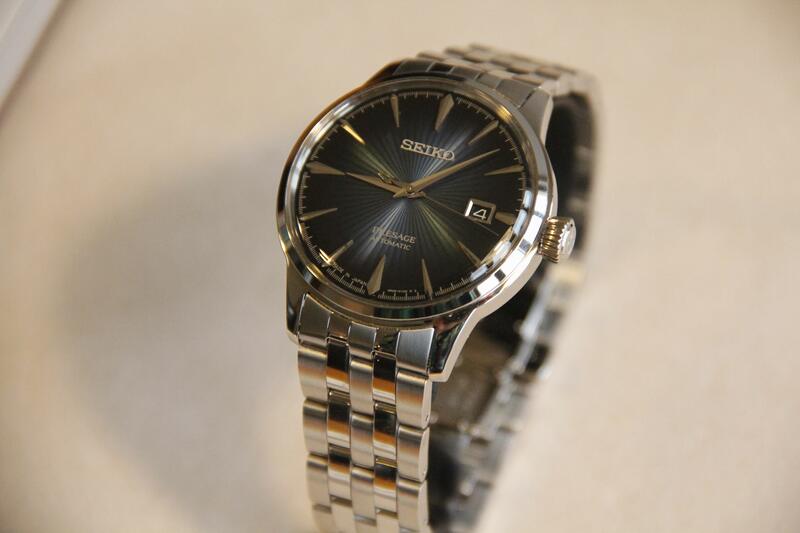 Seiko SRPB41J1… Under this simple and not-that-romantic name you will be surprised to find truly interesting watch. 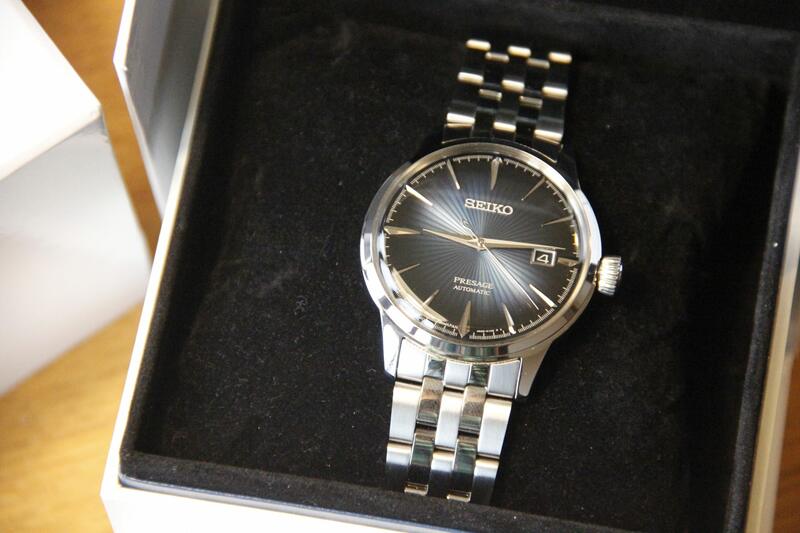 This is a new model from Japanese watchmaker, and it should be available at the time of this review. I have no doubt that you saw photos of this dial in Instagram or somewhere else in Internet. It’s really difficult to miss such beauty, right? 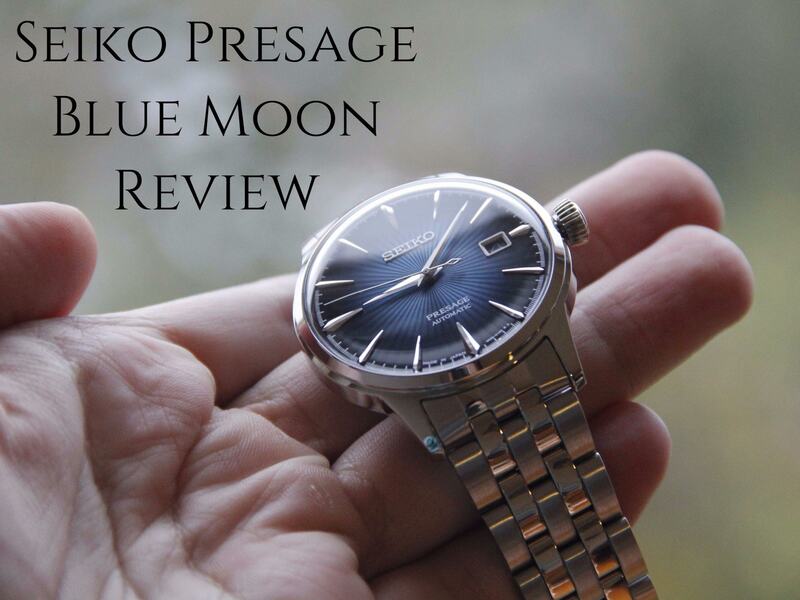 Well, here we are – with new Seiko SRPB41J1, let’s start our review. 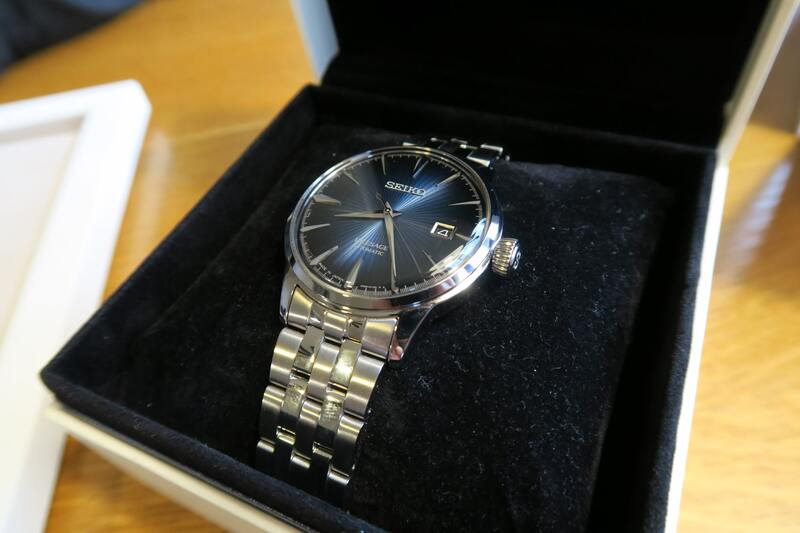 By the way, review was made with help of Chronoshop, you can visit them by clicking this link. 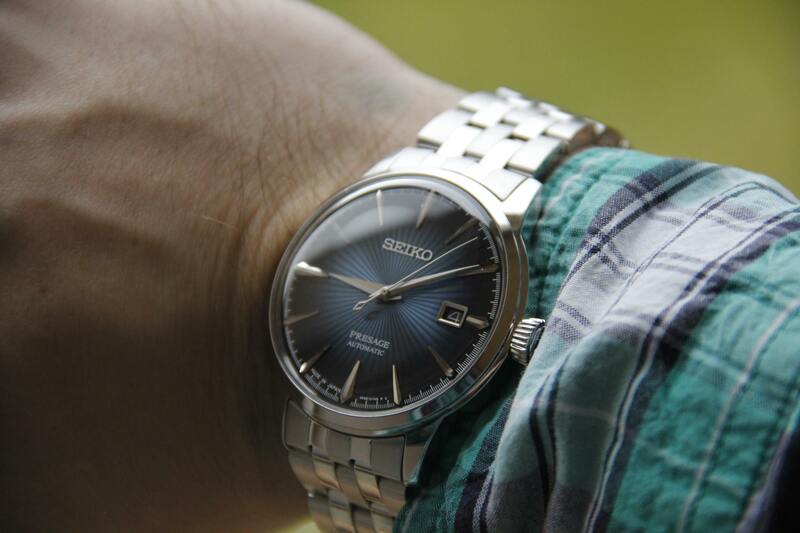 Did I say that Seiko SRPB41J1 has amazing dial? Yeah, right, that’s one of the things that will be hard to take your eyes away from. 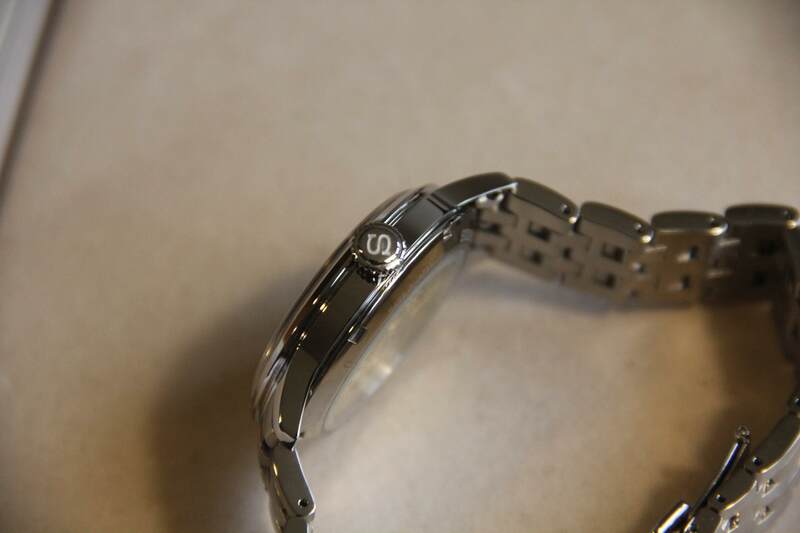 Special pattern makes it especially nice, and photos don’t transfer even half of the real beauty of this watch. 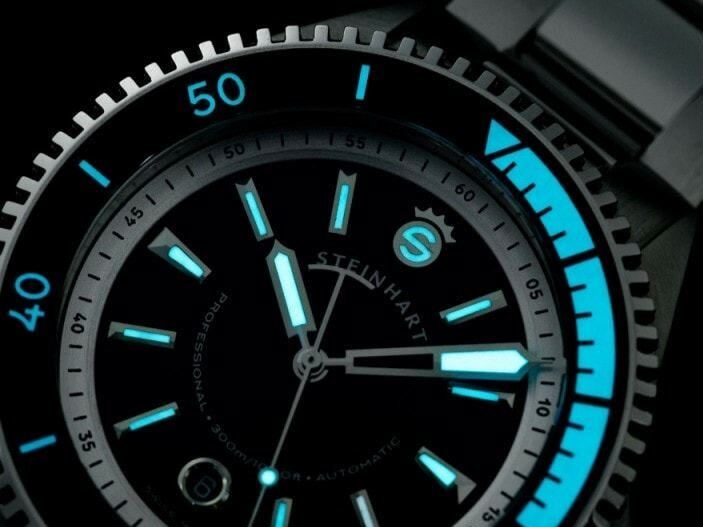 Each line goes right out of the dial centre and plays on the light. 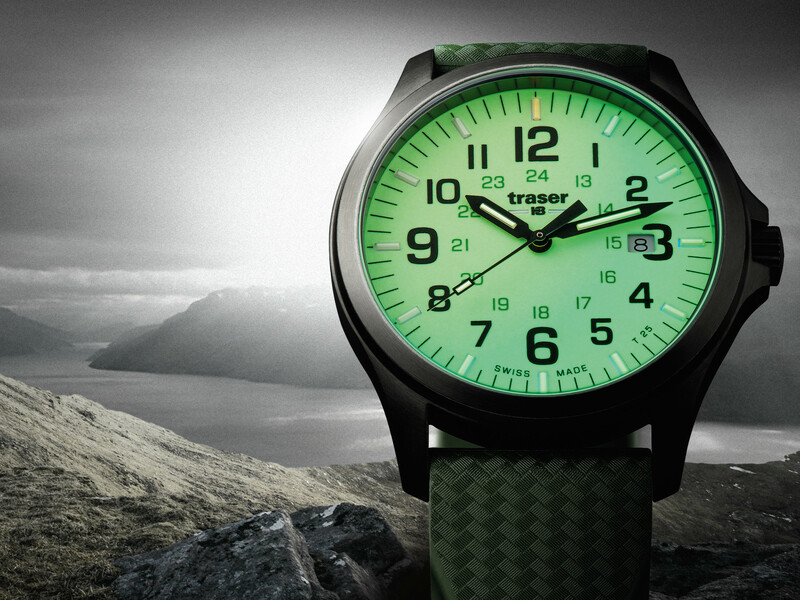 Tilt this watch as you want – everytime you will find how beautifully light glides over this simple pattern. 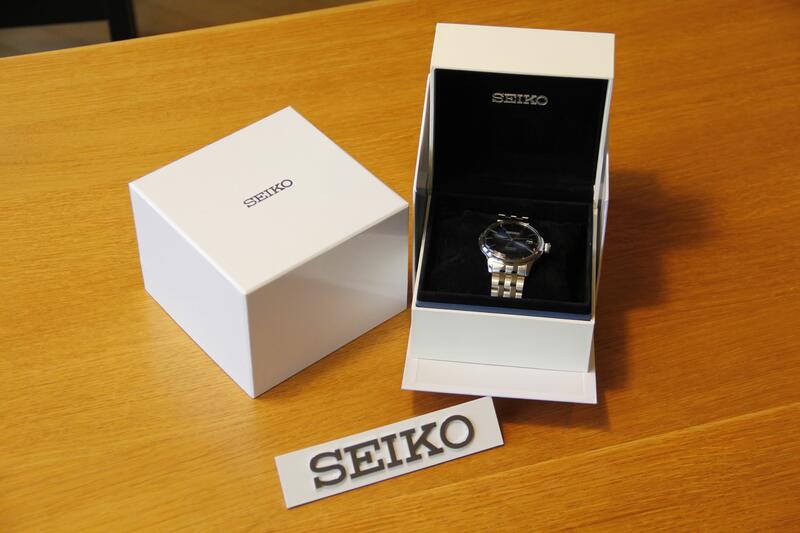 Moreover, special shade of blue also contributes to the effect. I think creators succeeded in finding something non-standard. 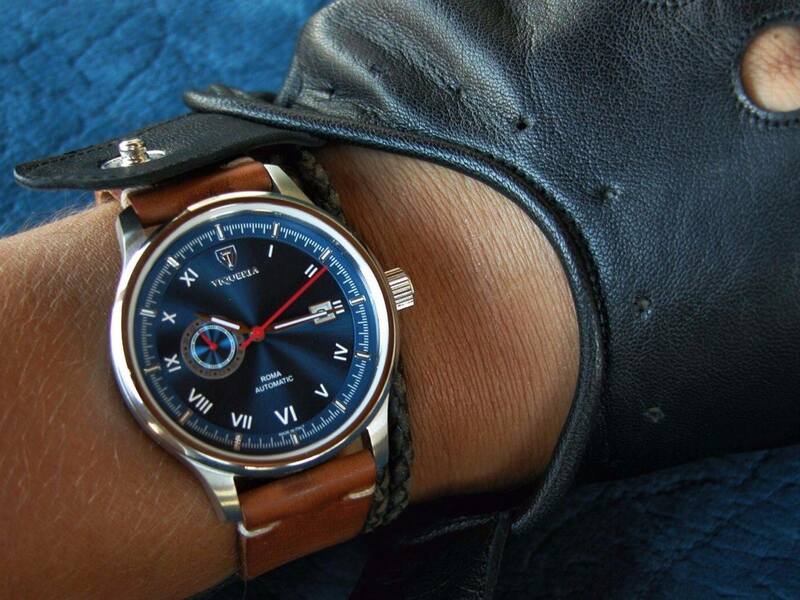 In other words, this blue doesn’t remind you of some another watch from different manufacturer. Good news, right? 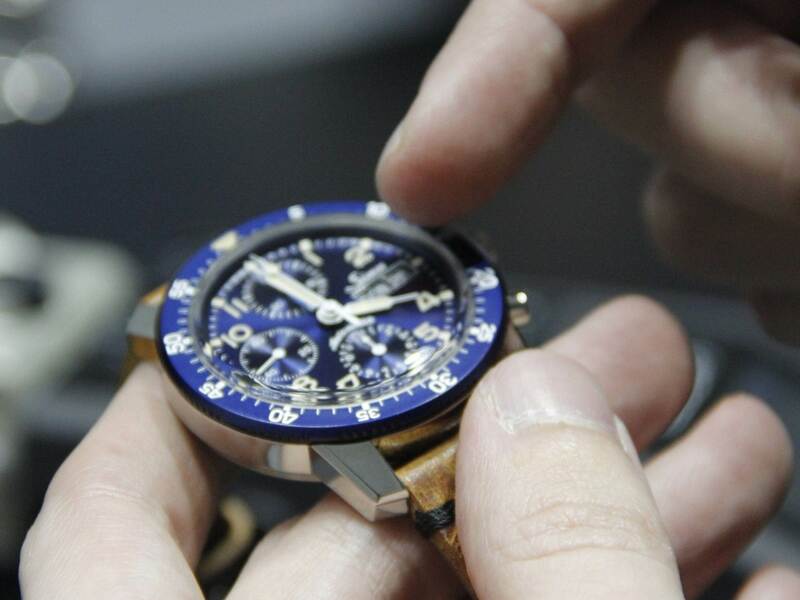 That dial is so nice, that we are ready to dedicate in video whole minute of just looking under different angles! Just kidding, it still won’t be enough. 😉 Now let’s take a look at dial layout, which is also special in its own way. 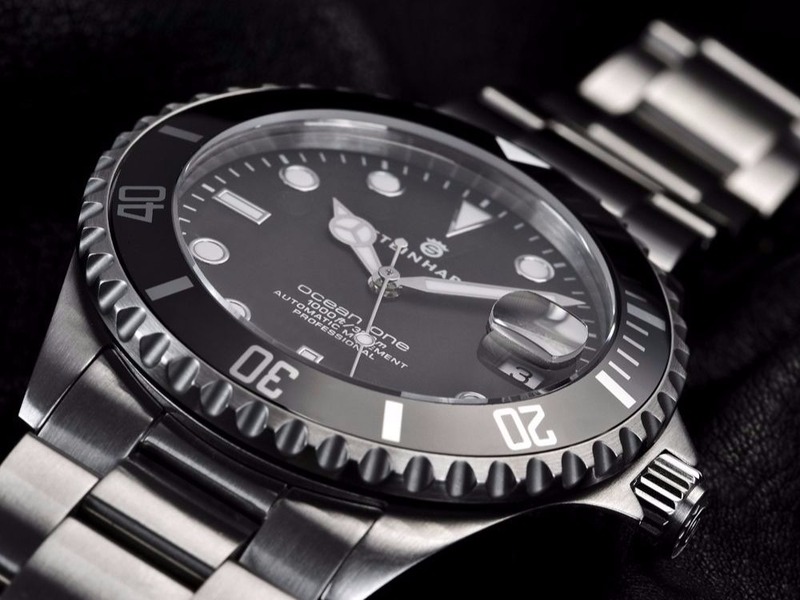 Well, round dial – how you can make it unusual? Right, remove all digits and add indices! Did it? Do indices in unusual shape that works with case form. That’s exactly what we see here. Just take a look at those silver parts. Gorgeous, right? 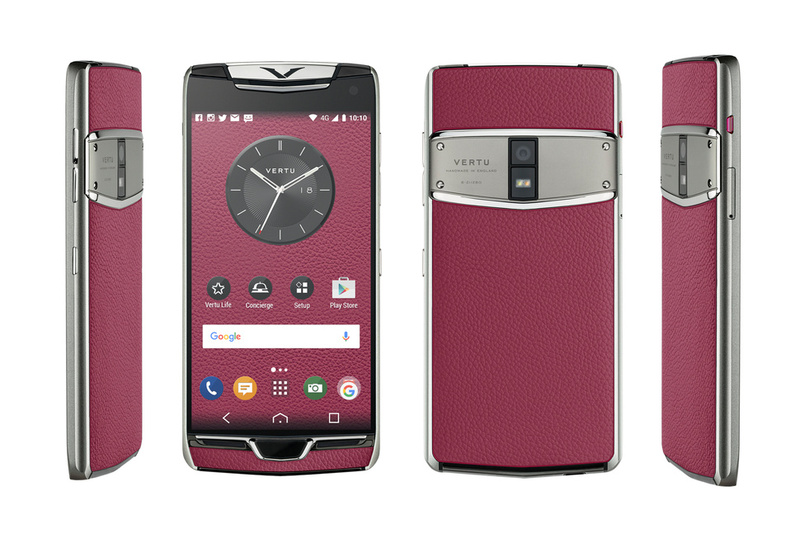 I don’t know about you, but in my mind those are instantly associated with some kind of claws hugging whole dial. 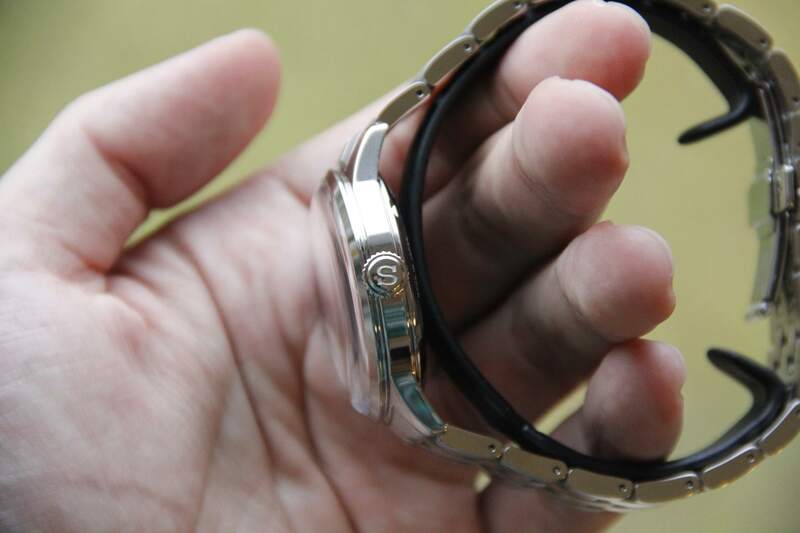 Of course, they are chromed as rest of watch case. The only digit that you will find here – date indicator. Moreover, I can add separate plus for making date window dark and avoiding using typical white insert. 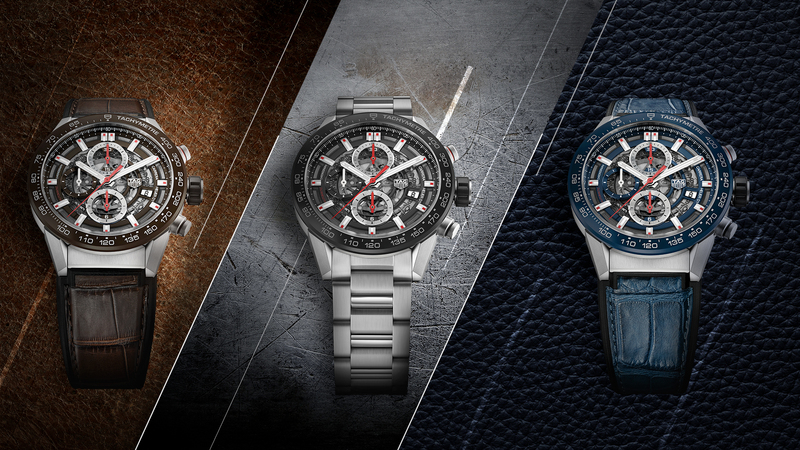 Another noticeable feature – only three words on the dial. That’s also right thing so that nothing will distract eye from main thing here. Yeah, it’s easy to guess that whole body is made out of polished stainless steel. 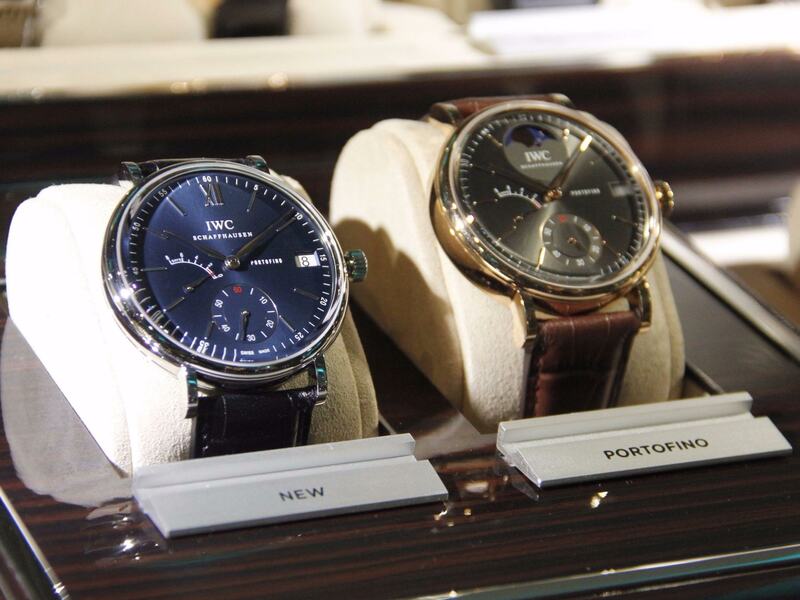 Well, did you see any “dress watch” without such finish? 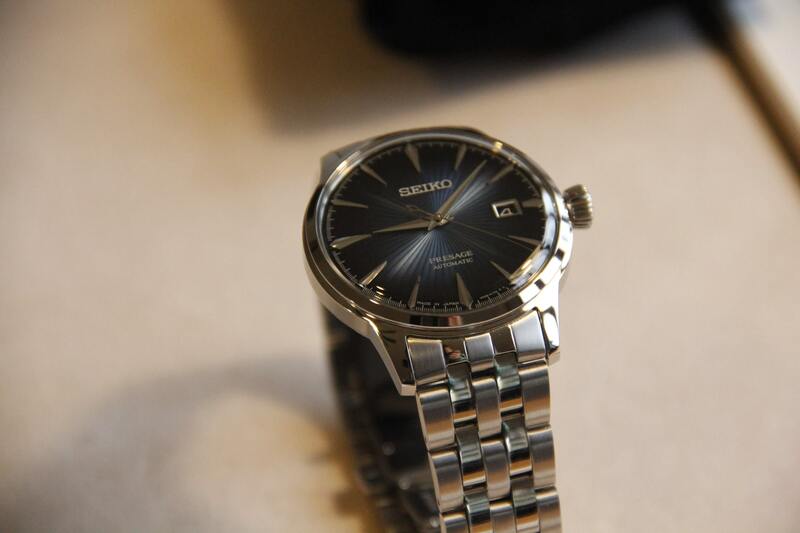 Seiko SRPB41J1 is not an exclusion from this rule, and here it doesn’t look cheap or wrong. Note that whole case is polished, and you won’t get “matte segments” around. 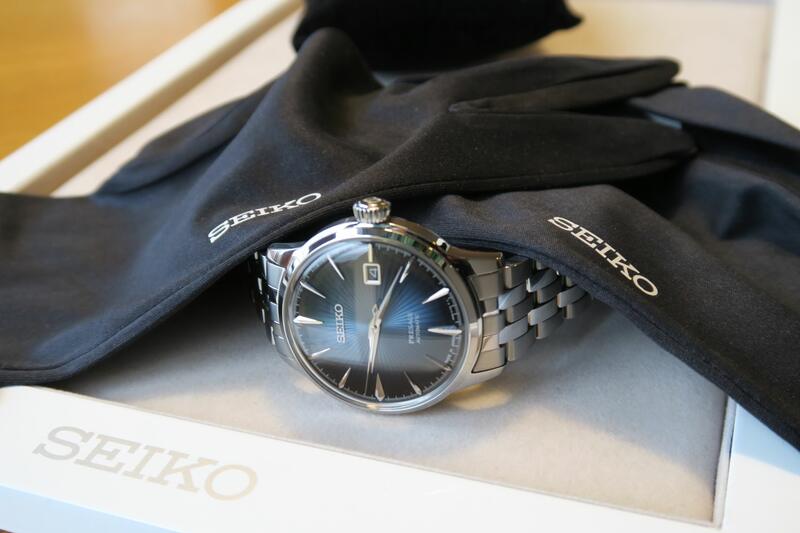 Only pure “shinyness” all around! 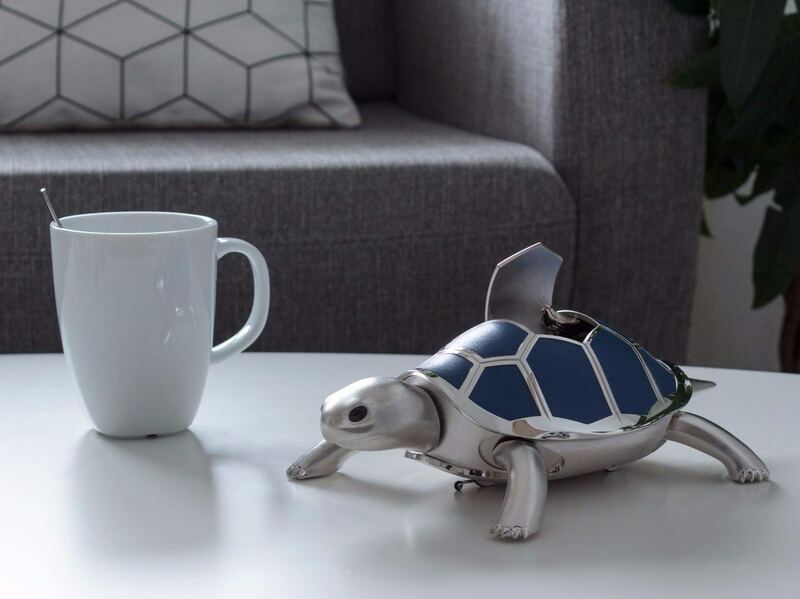 Of course, steel will also require careful handling in order to avoid possible scuffs, but we all do value our precious pieces, don’t we? The same approach was used with strap as well. Note that middle links are a bit “shinier” than other. Remind of something, right? Well, here it is more of an advantage than problem. In my opinion such feature definitely adds to visual appeal. 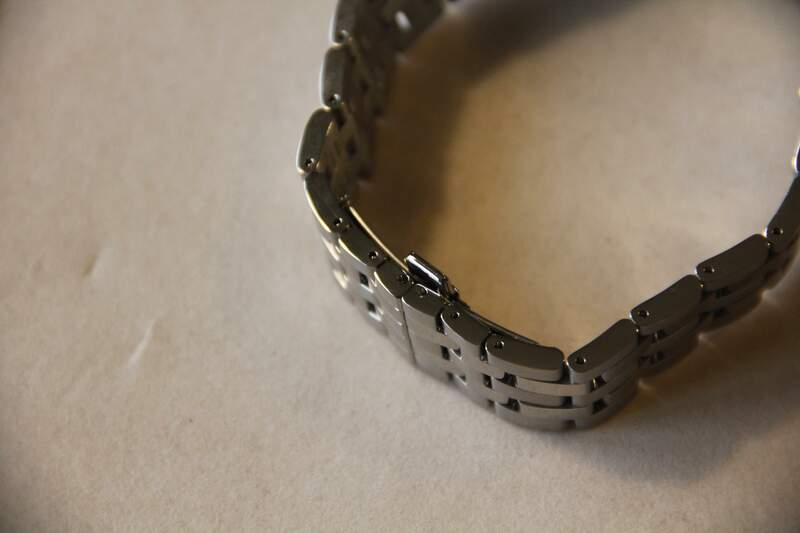 Just like it wasn’t enough, you get here “invisible clasp”, which will make whole assembly more bracelet-like. Of course, nobody stops you from changing strap, but in my opinion it’s one of those few cases where it will be difficult to pick up the right replacement. 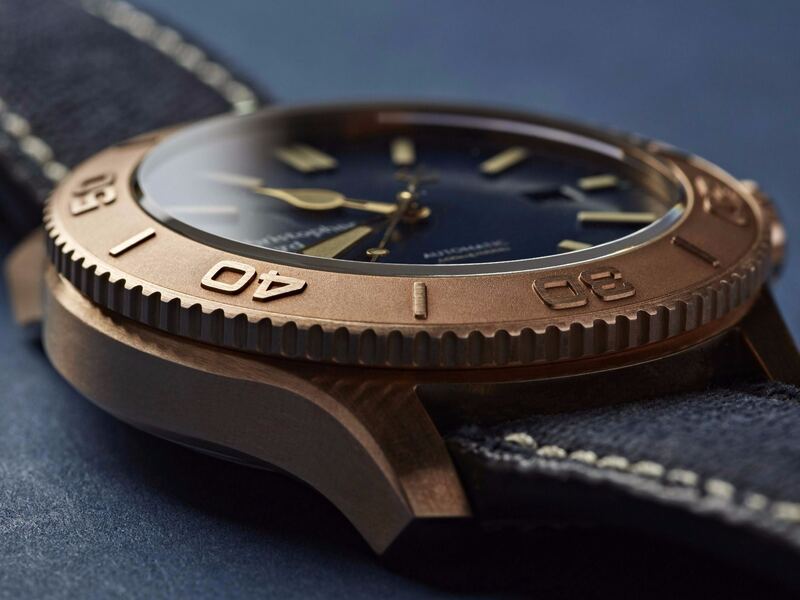 This is dress watch, so there is no need in some crazy water protection. Well, if we don’t need ultimate waterproof level, rear cover can feature transparent insert. 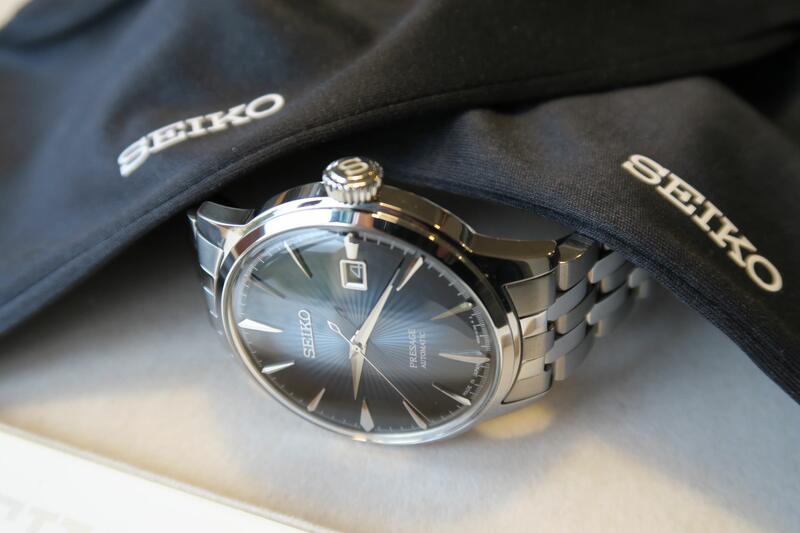 Again, in my opinion that’s the only right option for Seiko SRPB41J1, and I am happy to see that creators opted out for it. 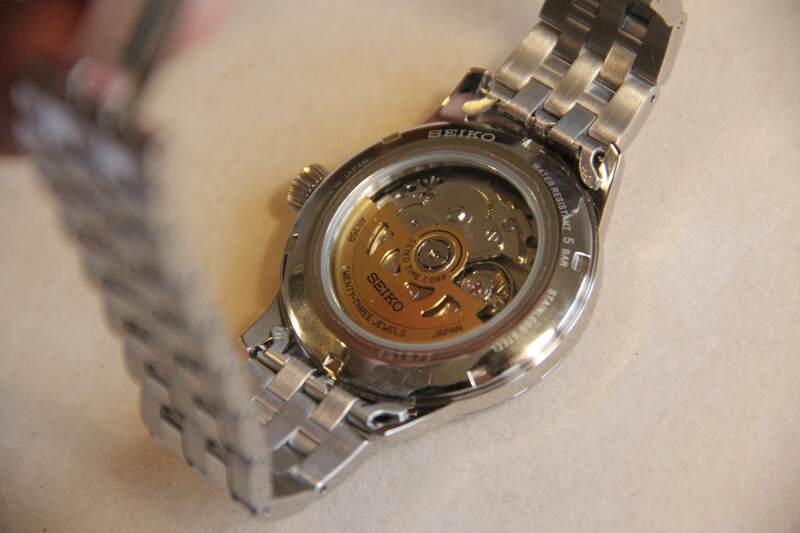 With help of this element you will be able to see golden balance wheel – nice hidden touch that will be known to owner only. 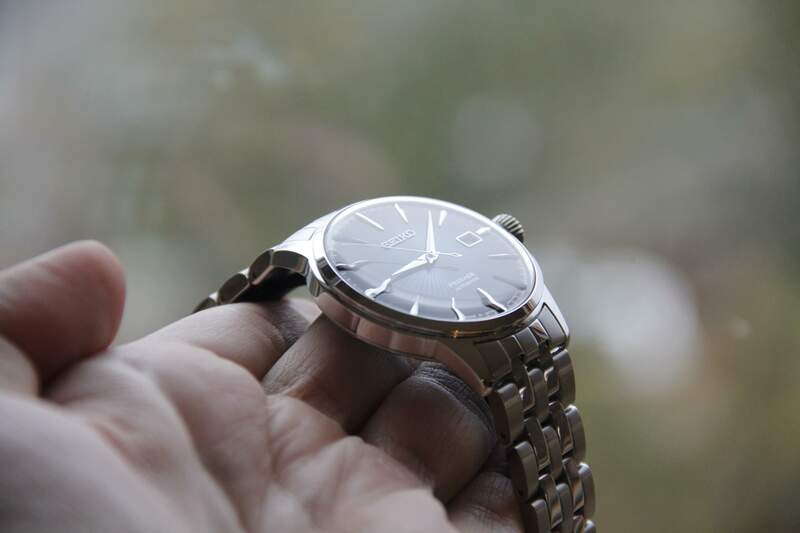 What is the movement model behind this glass? 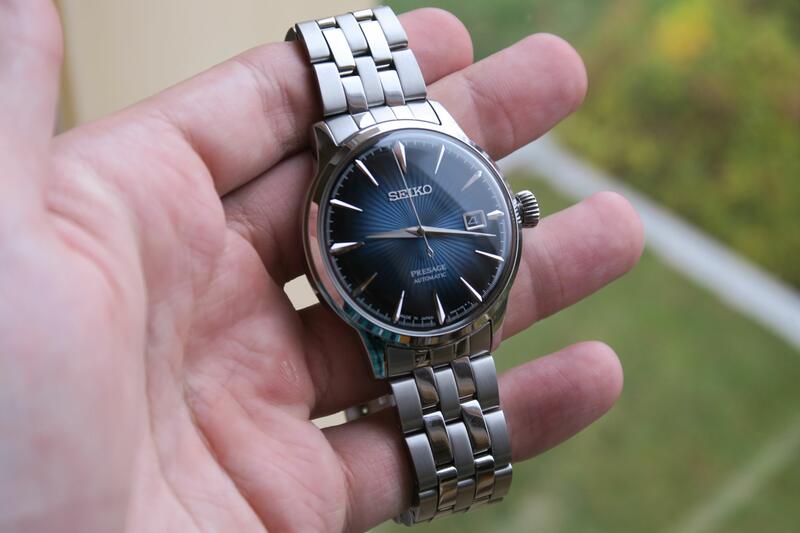 Seiko 4R35! 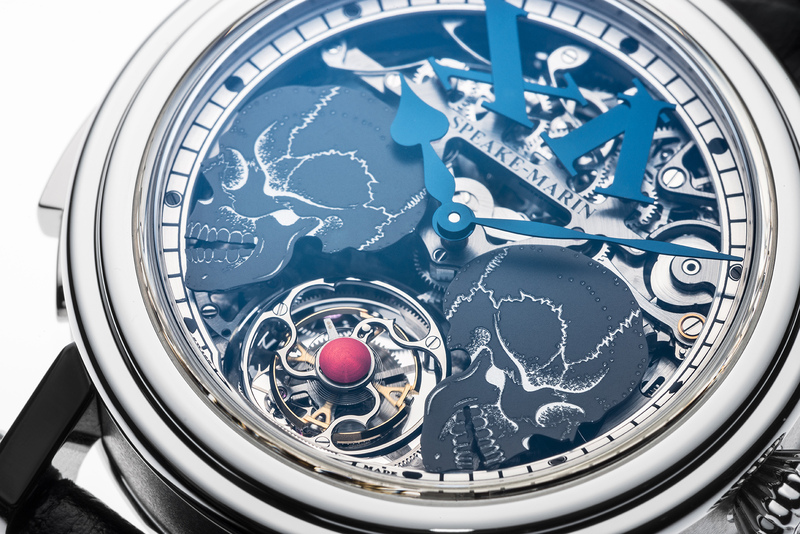 That’s quite well-known movement, and some of fans can even say that there is also hand-winding version. 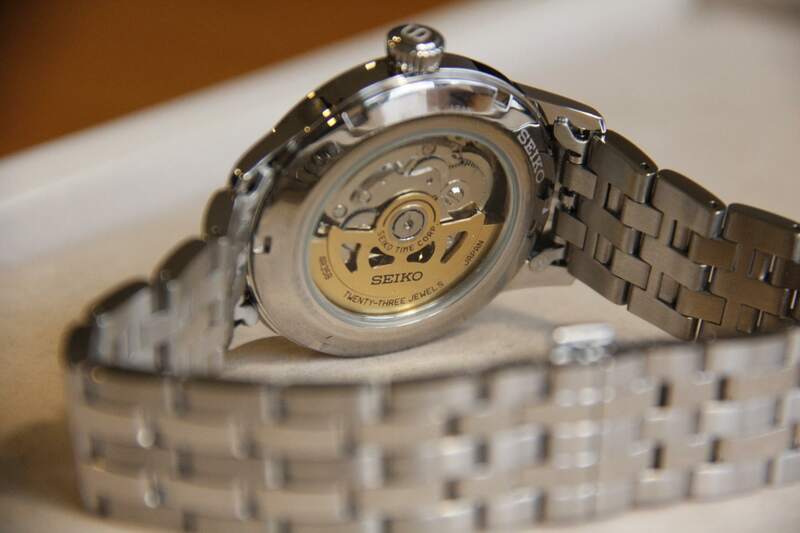 Nevertheless, in our case we have pure automatic movement. 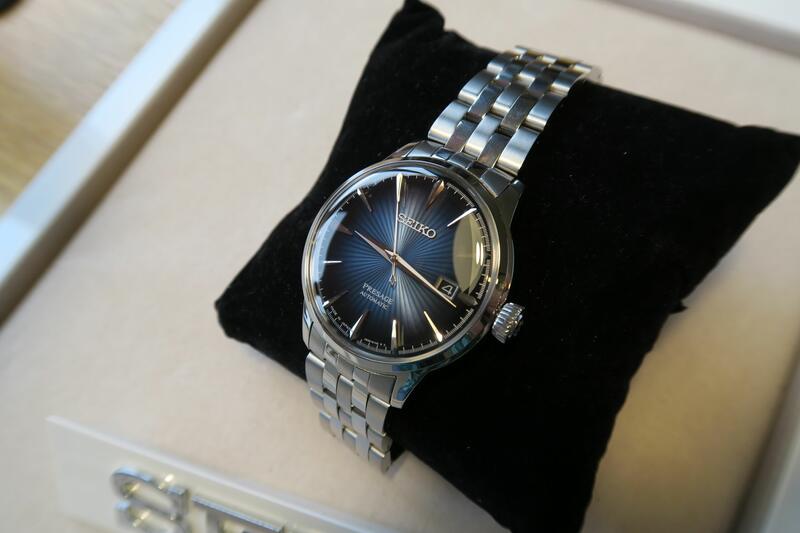 Of course, watch aficionados will appreciate hacking function, which wasn’t present before. 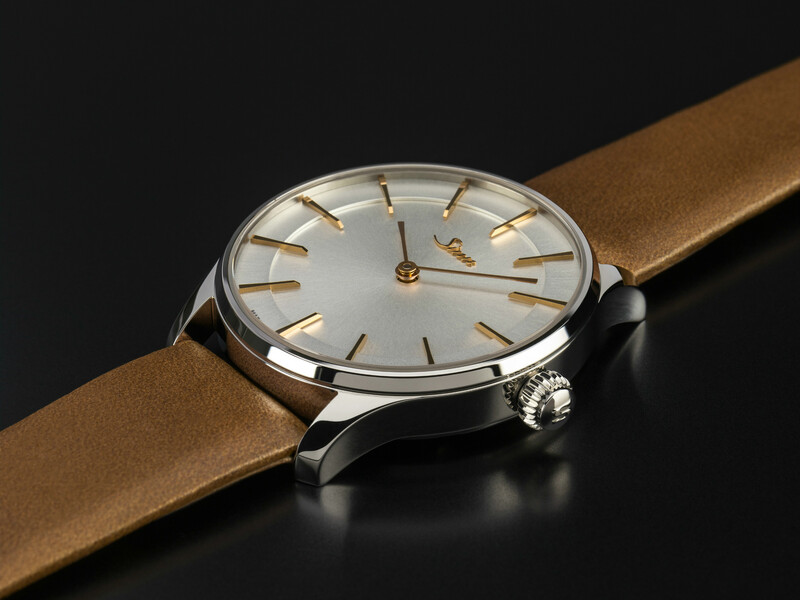 In other words – simple and nice, nothing extra, but still very good movement with 41 hours power reserve. After looking at tech specs on web I thought that there is mistake somewhere. 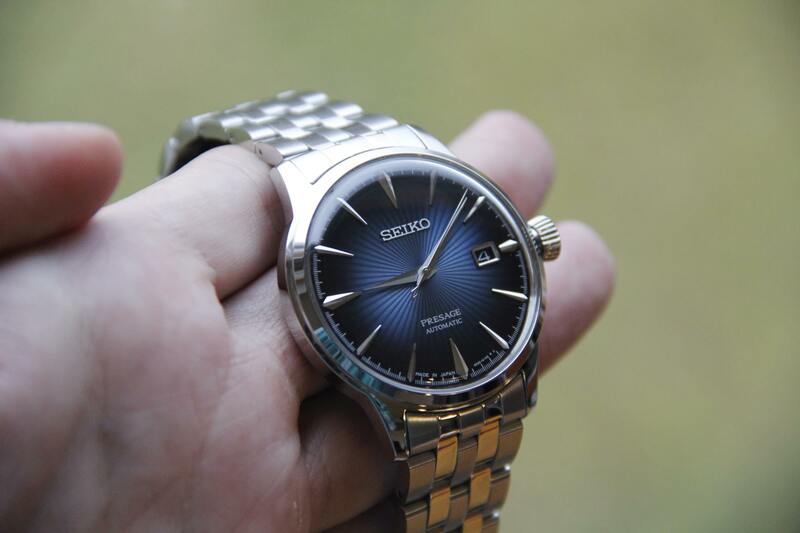 40mm watch with 136gr weight? Sound a tad heavy, right? Not like super-heavy, tugging your hand to earth, but I guess still should be noticeable. Well, after trying it in person I can say that it feels ok. Not too heavy, not too light. In my opinion just a tad of weight would make it even better. It’s more of personal suggestion. 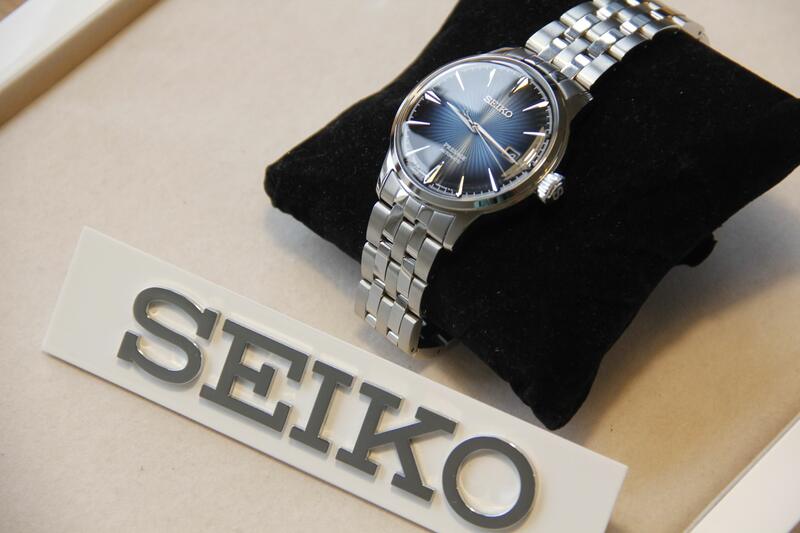 Of course, I recommend to try Seiko in person in order to know what it feels like. Strap in person feels a bit too light. Well, I expected a bit heavier parts. 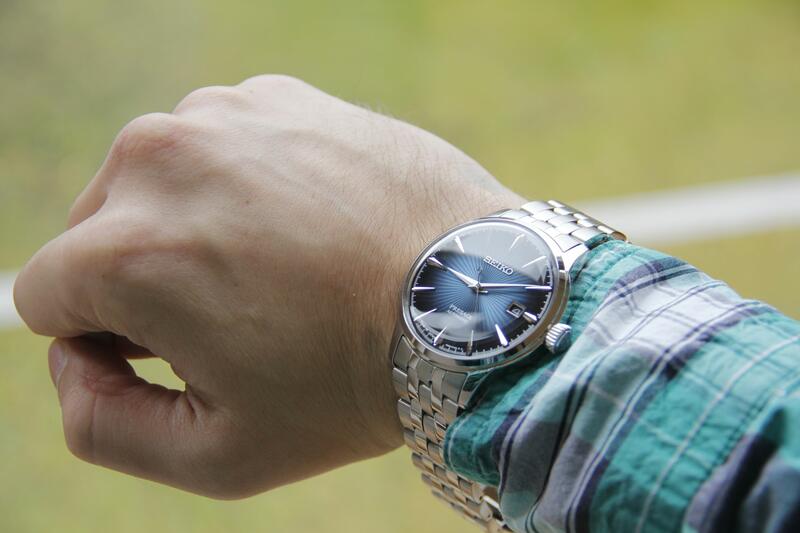 From the other side, it should be easy to wear such watch. 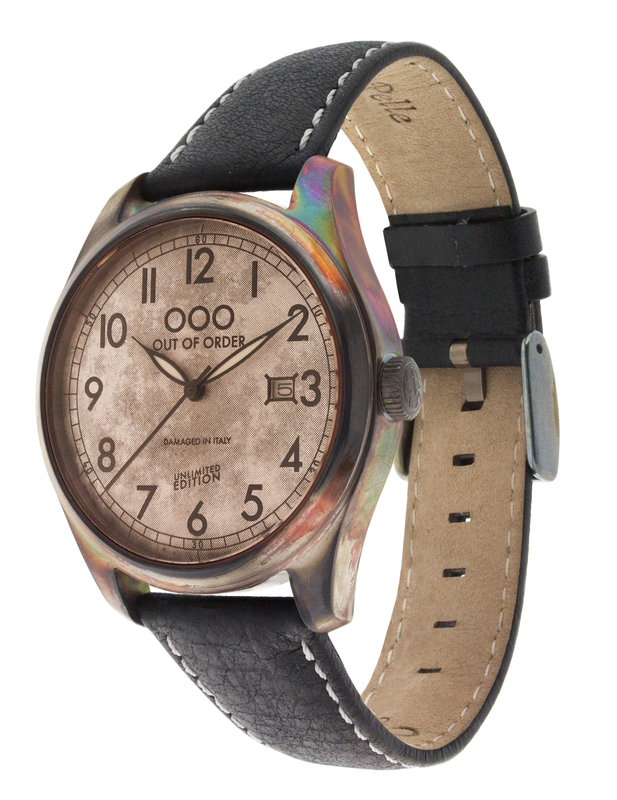 Of course, you can also replace it with leather or nato for even lighter combo. 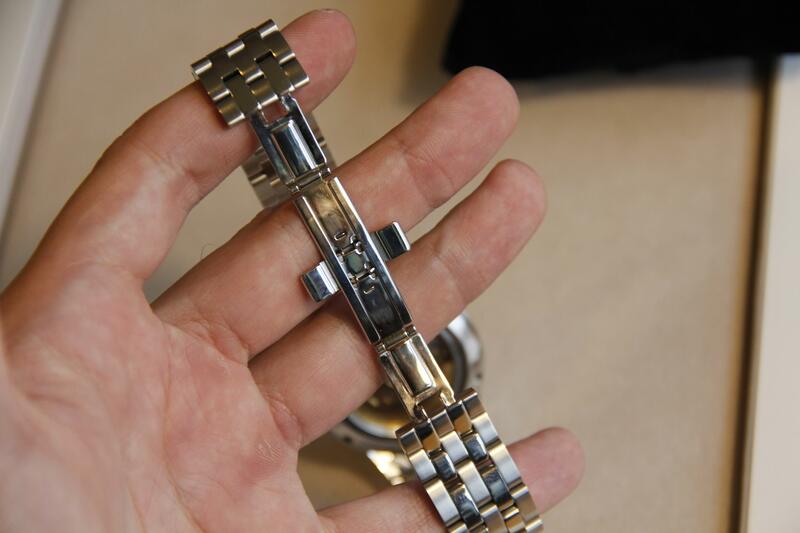 Nevertheless, I appreciate butterfly clasp, which is simple and quick to operate. 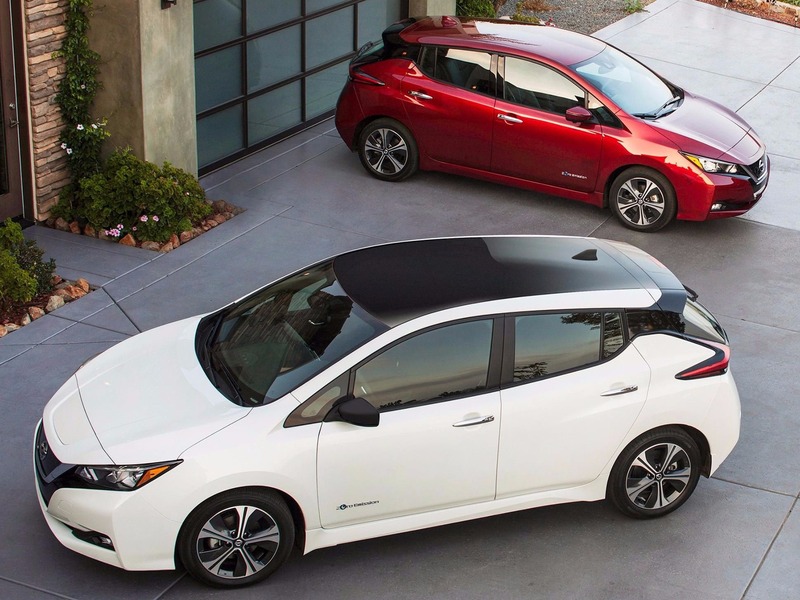 Ok, I can admit it that there are also several other nicknames for this model. Cocktail Time and Blue Moon look like more suitable for new watch, but still be sure to remember number index as well. Keep in mind that there are also other versions available. Nevertheless, blue is the cheapest and at the same time the most attractive out of these all. 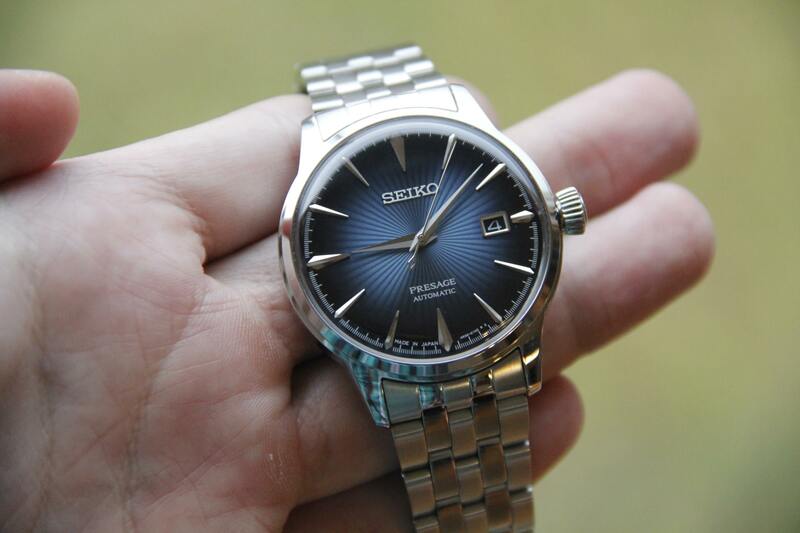 I honestly hope that Seiko will develop this lineup and introduce green for example. 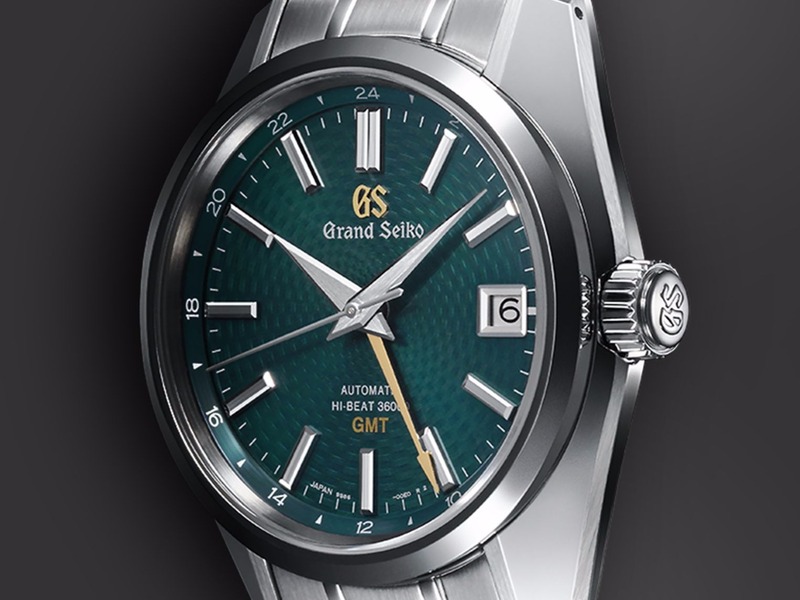 Words above perfectly describe this model, and I think it is absolutely worth the price it is sold for. 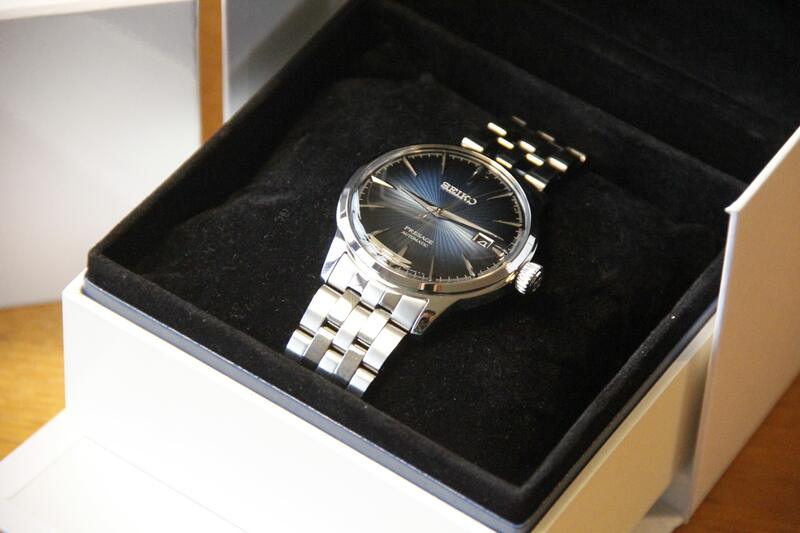 Moreover, it can be a perfect gift for somebody who haven’t tried “proper” watches yet. 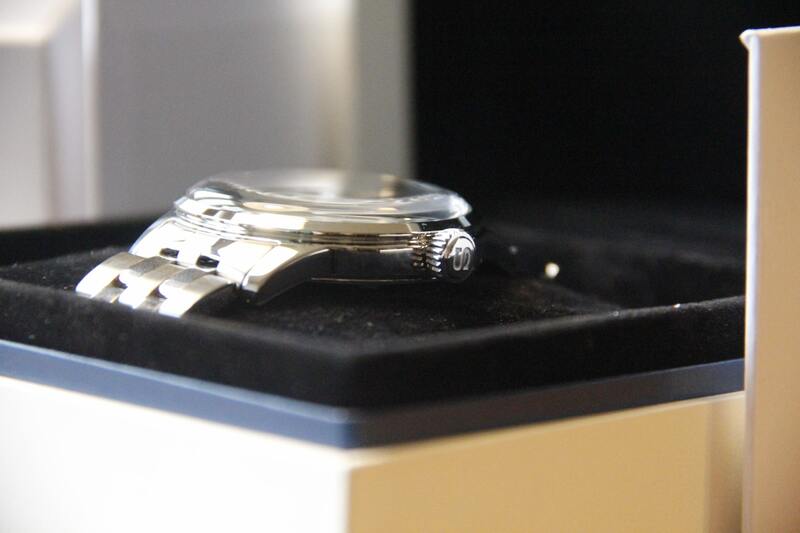 Excellent finish, reliable movement and nice build quality should sway giftee into watches. 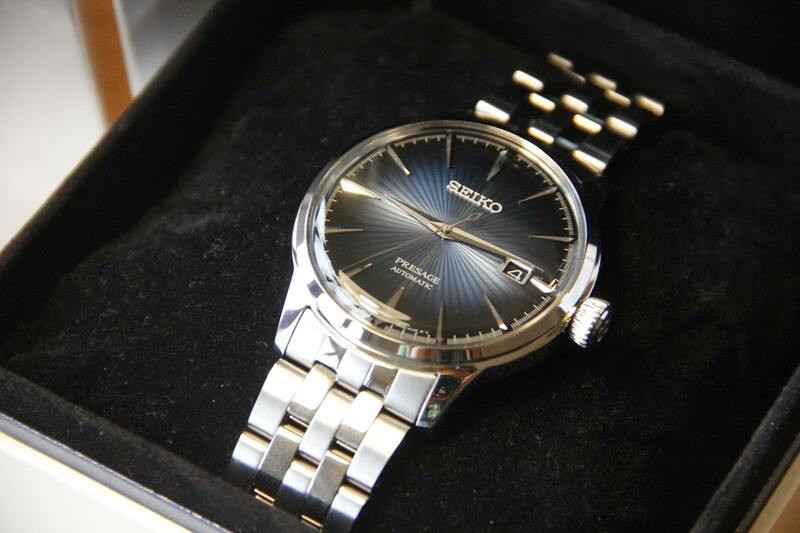 I also have no doubt that he will fall in love with such interesting watch as Seiko SRPB41J1. 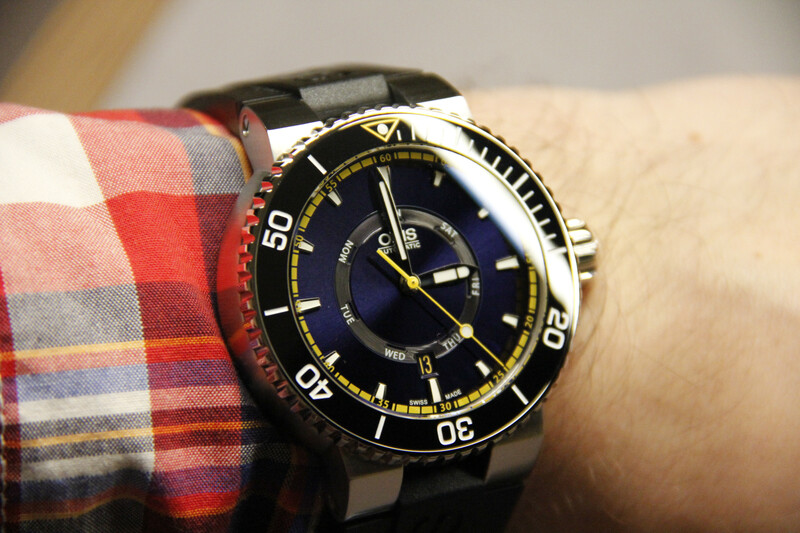 By the way, you can get this watch from our friends – Chronoshop, just click this link!